Heating Large Office Buildings - How to Control Energy Costs | H&H Commercial Services, Inc. 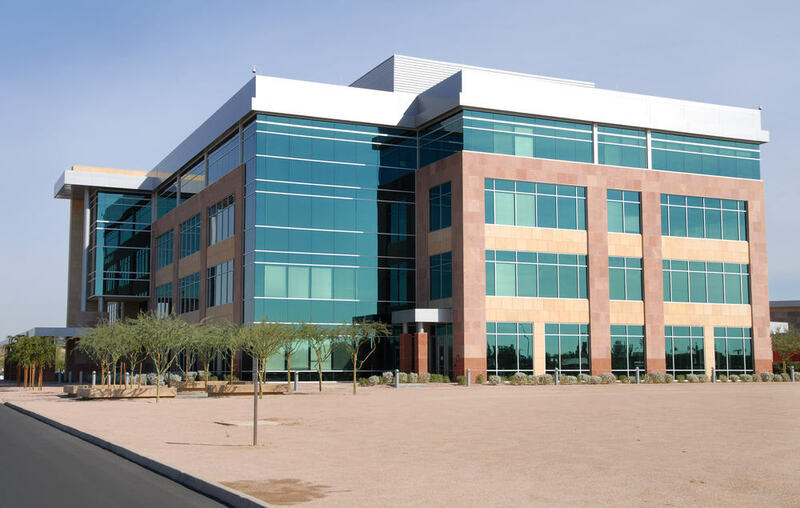 Heating Large Office Buildings - How to Control Energy Costs | H&H Commercial Services, Inc.
Are your commercial heating and cooling habits taking a bite out of your bottom line? The winter heating season can be an especially costly time for many business owners and operators. Heating, ventilation, and air conditioning account for 28% of the electricity consumed in American office buildings, and a whopping 86% of natural gas consumption. Is there any way to shrink these expenditures while still keeping staff warm and comfortable? If your office is one of the many suffering coworker thermostat wars, consider the edition of a ‘lockable’ or password-protected smart or ‘smart learning’ thermostat. These systems help you schedule heating based on building use. ‘Learning’ models require no programming, managing comfort and efficiency based on occupant behavior. Turning the heating temperature down during off/closed hours offers significant savings, about 10-15% per year based on studies. Every 1,000-kWh saved at 10-cents/per saves $100 in electricity costs. *Note: Heat pump systems require specific programmable/smart thermostat models. Contact your commercial HVAC company for details. Poorly sealed ductwork can rob up to 20% of heating efficiency, especially where it exists in unconditioned spaces. Schedule an inspection for your ductwork ensuring it is properly sealed and insulated. Seal leaks around windows, doors, lights, outlets, plumbing penetrations, and more with caulk, weather stripping, or spray foam insulation. Take advantage of the sun’s warmth. Many office have large windows. If this applies to your location, open curtains to south-facing windows during the day to take advantage of the sun’s warmth. Close them at night to keep warmth contained. Outfit windows with insulating drapes to prevent drafts and contain warmth, or encase them with heavy-duty clear plastic sheeting or film. Stay on top of system maintenance. Replace air filters monthly. This inexpensive maintenance alone can save 5-10% on HVAC expenses. Keep the area surrounding exterior equipment clear and free of weeds and debris to safeguard proper airflow and ensure efficiency. Don’t neglect annual maintenance. Periodic maintenance, cleanings, and tune-ups safeguard the life of equipment and ensure performance and energy savings. A simple coil cleaning alone could decrease your energy costs by 30%. Maintenance can also prevent the need for emergency commercial HVAC service, identifying potentially costly issues before they occur. An investment in new HVAC tech can tremendously lower your energy costs (and carbon footprint). Systems more than 10-years-old are substantially less efficient than their newer, higher-SEER counterparts. Replacing your aged HVAC unit could save you 10-40% in energy (and emissions) yearly, making dollars and sense for your bottom line.